Refrigerator / freezer eLocks are commonly installed on food grade appliances to limit access and to monitor temperature. 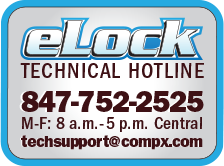 CompX eLock is the perfect product for securing refrigerators and freezers in healthcare, universities and hospitality markets. 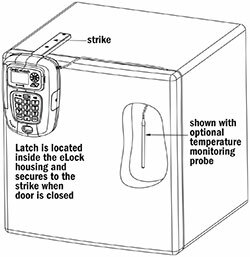 Refrigerator / freezer versions have all three components — eLock unit, battery pack, and latch - enclosed in a housing which mounts directly to the appliance door. 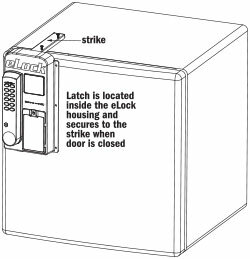 The strike plate is easily mounted on the top or side of the appliance and provides a secure latching point for the latch. 100 Series eLocks are available with up to 250 unique user codes, while the 300 & 200 Series have the ability to program up to 3,000 unique user codes. 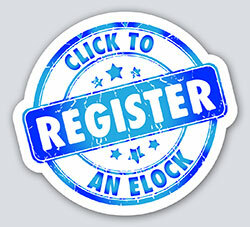 eLocks equipped with ID badge readers allow authorized users to quickly gain access to the appliance and since all eLocks have a spring loaded latch, simply close the door — no need to enter a credential to re-lock. The eLock also provides a comprehensive audit trail of access attempts - including date, time and user name — which can be viewed with LockView software.